Our virtual magazines include imaginative, informative, and insightful articles, written by homeschooling parents; printables; recipes; fun homeschool activities (including science experiments! ); and they are a joy to read. 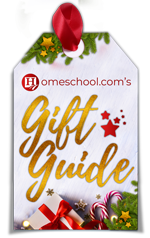 Homeschool.com’s newest e-magazine offers articles about the holidays you celebrate, as well as the holidays you might want to teach your children about. These include Thanksgiving, Chanukah, Christmas, Kwanzaa, and New Year’s Eve. Are you new to homeschooling? Do you know someone that is interested in homeschooling but feels a bit overwhelmed, and hasn’t taken the plunge yet? Homeschool.com’s newest e-magazine Getting Started can help! What is the subject you struggle with most in your homeschooling? If your answer is math, you’re not alone. That’s why our newest e-magazine is devoted to homeschool math—from pre-school through calculus. It’s time — time to start gearing up for your family’s new homeschool year. 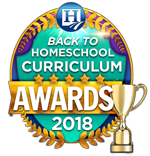 This Back to Homeschool issue contains 15 informational articles to help you organize and run your new year in a smooth (and fun) fashion. Thank you to everyone who contributed to this issue. 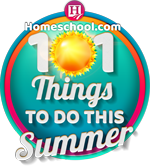 Our Summer Fun – Summer Education edition has over 19 interesting articles written by homeschoolers just like you! Thank you to everyone who contributed to this issue. The “Science Anyone?” issue of Homeschool.com’s Virtual Magazine is here. Over 15 fascinating articles from Science sites and from homeschoolers in the trenches. Thank you to everyone who contributed to this issue. The Inspiration Issue of Homeschool.com’s Virtual Magazine is here. 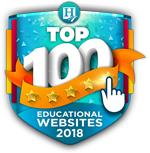 Inspirational articles for the new year, and our list of Top 100 Educational Websites. Thank you to everyone who contributed to this issue. The Gift Issue of Homeschool.com’s Virtual Magazine is here. Included is the Annual Gift Guide with more than 15 pages of ideas! Thank you to everyone who contributed to this issue. We’re so proud to announce Homeschool.com’s first ever virtual magazine! Wonderful articles, printables, recipes, and more. 50 pages of homeschooling fun!